The weather changed from cool, cloudy and southerlies, to sunny warm conditions and light northerly winds on Mother’s Day. At the water surface, blooms and large debris lines occur in Bellingham, Padilla, and Samish Bays, Hood Canal, East Sound, and the Straits, as well as the finger inlets of South Sound. Large amounts of sediment-laden water from Port Susan are flowing into Central Basin. Turquoise water mixing to the surface in places around the San Juan Islands. After some trouble-shooting of the hardware and communication system, we will resume collecting Victoria Clipper data next week. Meet Eyes Under Puget Sound: Sediment Monitoring Program at Ecology. Description The weather changed from cool, cloudy and southerlies, to sunny warm conditions and light northerly winds on Mother’s Day. At the water surface, blooms and large debris lines occur in Bellingham, Padilla, and Samish Bays, Hood Canal, East Sound, and the Straits, as well as the finger inlets of South Sound. Large amounts of sediment-laden water from Port Susan are flowing into Central Basin. Turquoise water mixing to the surface in places around the San Juan Islands. After some trouble-shooting of the hardware and communication system, we will resume collecting Victoria Clipper data next week. 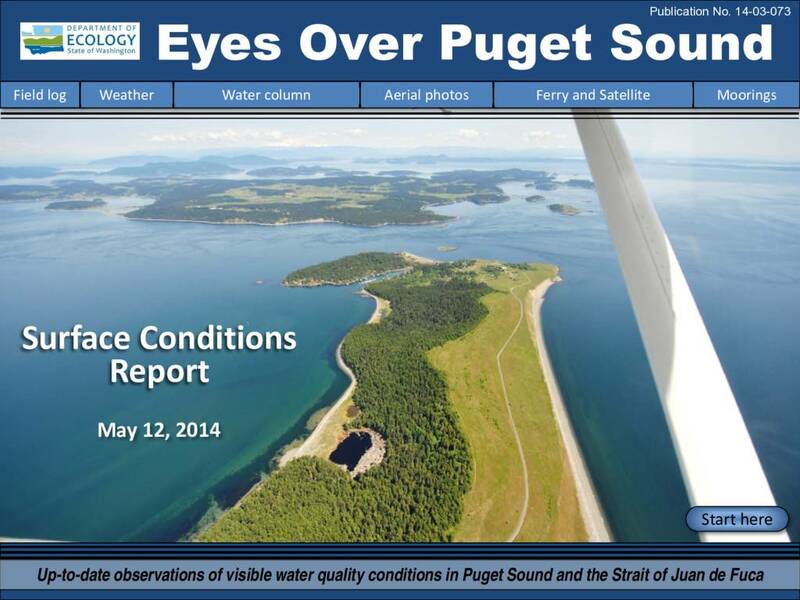 Meet Eyes Under Puget Sound: Sediment Monitoring Program at Ecology.